An incredibly good debut album has a power that can’t be overstated: It can make a band’s career and shift the music landscape. 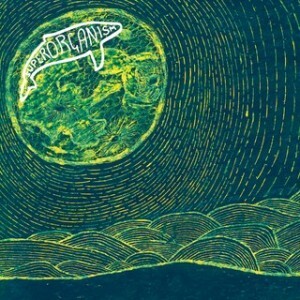 The first self-titled release from indie pop act Superorganism has what it takes with funky beats, interesting samples and catchy harmonies. Their album came out Mar 2 via the Domino Recording Company and is already building a buzz. Each year has at least one act coming out of nowhere to leave their mark, and it looks like 2018 could be the year this band achieves that. The act started with a chance meeting between lead vocalist Orono Naguchi and New Zealand guitar rock act The Eversons at a show in Japan in 2015. From there, Naguchi started collaborating with the New Zealanders and it evolved into a new project. Add backing vocalists Ruby, B and Soul and this amazingly talented octet was born. There’s nothing boring about the album and it’s an infectious, original sound. “Something for your M.I.N.D.” has a psychedelic sliding guitar and an infectiously melodic chorus. A great example of funky beats is “The Prawn Song” with a mellow vibe throughout the track that’ll make the mind unwind. The ringtone samples mentioned earlier are in “Night Time,” and, at first listen, the ears might get confused and hear a phone ringing. Live music fiends can check out Superorganism live at Brighton Music Hall on Apr 1 and act like a “fool.” One can only imagine how incredible it’ll be to catch an act like this in person. While you’re at the show, grab a copy of the debut album. It’ll leave a lasting impression that you’ll want to go back to on a regular basis.